Brian has been helping clients with their financial goals since 2001. 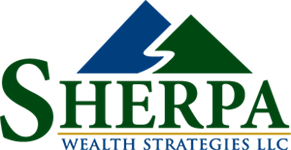 He built a successful career at a national brokerage firm before founding Sherpa Wealth Strategies in 2011. He became a CERTIFIED FINANCIAL PLANNER™ in 2007. He is a member of Ed Slott's Elite IRA Advisor Group™. Previously, Brian was an award-winning journalist for 23 years. He worked at a number of newspapers around the country, ending his career as Editor of The Sun in Bremerton, Washington. Brian and his wife, Shawna, have been married since 1985. Their daughters, Catherine and Zoe, attend public schools in Bend. Brian is an active member of the Greater Bend Rotary, raised $3 million as a two-time campaign chair for the Kitsap United Way, served as a director of the United Way of Deschutes County, volunteered with his daughters’ Girl Scout troops and served as president of the William E. Miller Elementary School site council. 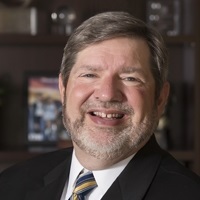 He also served as president of Central Oregon Fastpitch, a non-profit that provides opportunities for girls to play competitive travel softball. In his spare time, you might find Brian cycling on the beautiful roads and trails of Central Oregon. Licenses: Series 7, Series 63, Series 24 Registrations held through LPL Financial as well as Oregon Life & Health Insurance.